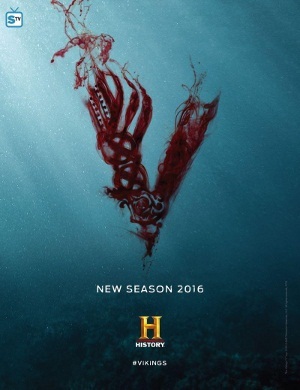 The History Channel has unveiled the trailer and some of the synopsis of episode 11 of Season 4 of 'Vikings'. The leader of the Vikings lost a battle against his brother Rollo, but quickly wants to rise by attacking Paris to take the capital of the Franks. Meanwhile in England, the Queen Kwentrith conflicts with Egbert, who will also have to avoid the king Aelle. "If you knew what will happen to Ragnar in the second half of the season, you will also be happy he is not dead," said Michael Hirst, director and creator of the series. The Briton also ensures that Ragnar returning to England in the second half of the season, to finish with Egbert. In an interview with the Hollywood Reporter, Michael Hirst said "It's a taste of what is to come. We love taking risks and we are ready to challenge the public. It is curious and interesting, and even natural that a little time has passed. Ragnar was defeated, he went away to think his wounds and cope with what happened to him. In the process, his son grew up, either six, seven or no matter, I don’t even know. "